Two citizens of Austria notified of suspicion. 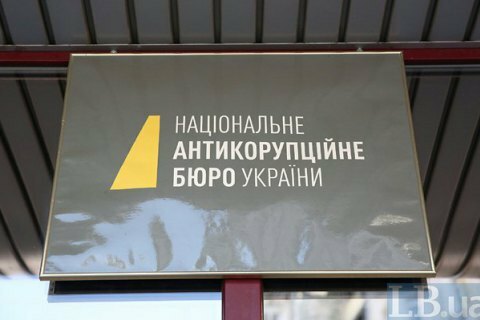 National Anti-Corruption Bureau (NABU) has reported suspicion to a Ukrainian citizen and two citizens of Austria who are believed to be involved in the embezzlement of public funds during the procurement of uranium concentrate by Ukrainian State Enterprise Eastern Mining and Processing Plant. Thus, the total number of suspects in the so-called Martynenko case increased to eight people, according to the NABU website. In particular, suspicion was reported to two Austrian citizens – CEO and Director of the Austrian intermediary company Steuermann, which, according to the investigation is controlled by the prime suspect Mykola Martynenko. Steuermann CEOs are suspected of creation of a criminal organization, gross embezzlement by abuse of official position. The CEO of Austrian firm is also suspected of legalization (laundering) of proceeds from crime. Steuermann managers were notified of suspicion in Austria in the framework of international legal assistance. The third suspect, a citizen of Ukraine, is a director of several companies that regularly won tenders by VostGOK, Energoatom , United Mining and Chemical Company. He is is also the head of the foreign companies involved in the money laundering scheme. He was notified of suspicion in Latvia. On 20 April, NABU detained the former MP Mykola Martynenko, who was suspected of the siphoning 17.2 mn dollars from the state-owned VostGOK abroad. VostGOK is the unique in Ukraine and the largest in Europe uranium mining company manufacturing natural uranium and uranium oxide concentrate.